My wife and I have been doing some recreational house-hunting. While viewing a beautiful home recently she commented, "I like this house but we'd need to replace all the tile floors." I thought the tile was nice. I thought to myself, the next time I hear her talk about expensive renovations, I'm walking out. "I don't want to deal with that kind of delay and expense" I said. "We need to find a house with tile you like." I drew the line in the sand with that one! And made a mistake. It was an opportunity to engage her in dialogue about the issue, and I blew it. Instead, she felt misunderstood and disrespected. The distancing caused by this way of talking is not good for romance. I first learned about interpersonal skills in the mid-1970s. I took a month-long skills course and read Dr. Thomas Gordon's now-classic book, P.E.T., which stands for "Parent Effectiveness Training." My introduction to these skills was life-changing. I learned that there is a most effective way to listen, to give and receive feedback, to dialogue, to resolve conflict, to encourage, and more skills. I immediately integrated this kind of skill-building into my training programs and I've been trying to help adults improve the way they communicate ever since.These skills are crucial for leading teams and relating to coworkers. When you use them, you win. When you forget to use them, you lose. They're that crucial. 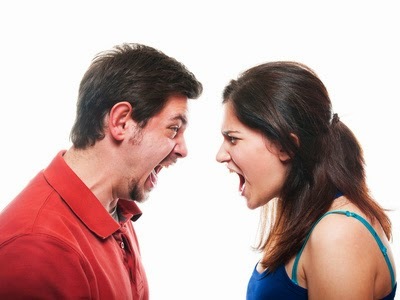 And yes, my brothers and sisters, they're equally crucial in a marriage relationship. And to being a parent. When you use the skills, you win. When you don't, you lose. The problem is that we adults grew up not knowing the best way to deal with people. We learned how to communicate "on the street," so to speak. We wired our brains for dysfunctional interpersonal skills, and we've been insulating that wiring for decades. That's why they are so hard to change, even though we may learn about far better ways to listen, give feedback, engage in dialogue, etc. Any of us can succeed, though. It's a matter of "doing the reps" and pushing past failure and discouragement until the new way becomes comfortable. Parents can get away with poor communication skills for the first 10 or 12 years of a child's life. You can say "because I said so" to a little kid and get away with it. But once a child reaches puberty, the game changes. This approach stops being effective. Adolescents seek independence. And that's a good thing. They need to learn how to leave the nest and build lives of their own. Teenagers don't want to be thought of as little kids anymore. They hate being treated that way, hate being talked to that way. But that's what parents do. It's what they've been doing since the child was born. They may be unaware of the changes going on in their young adolescent, and they may have no idea how they should be interacting differently. It's a problem that's been going on for thousands of years. Teens don't care about these excuses. They need the love and wisdom parents can give, but during their long, slow journey towards adulthood, a still-developing teenager will be put off, even alienated by this kind of treatment. They'll conclude that their parents "just don't get it" and they'll turn to their friends for support. One of my best friends, a highly successful business leader, has two sons. Even though he used a heavy-handed approach to raising his sons, his oldest boy decided to emulate his father. He listened to his dad, worked hard, graduated from high school and college with honors, and became a highly successful executive himself. But his youngest boy decided to reject this treatment. He got into furious arguments with his parents, blew off school, ran around with the wrong crowd, refused to get a job and didn't go to college. In fact, these patterns persisted throughout his twenties. He worked a few low-paying dead-end jobs, ruined a marriage and eventually returned home to live with his parents. I hear he's now engaged to a nice girl and my friend is hopeful. We'll see. He's still the well-intentioned but abrasive, autocratic father he's always been, thinking he he knows best and can "force the issue." I read about the consequences of the "generation gap" almost every day. The most recent news story: A 14-year-old girl stole a car from her girl-friend (for the third time) and ran away from home with a boy. Couldn't happen to you, you say? My own mother ran away from home when she was 16 and married a man she divorced less than a year later. The point is, the stakes are high. There's great potential for something wonderful to happen for your child. There's also great potential for tragedy. The biggest factor is how parents communicate with their growing child. Are the stakes high enough for you to improve the way you relate to others? Is your relationship with your spouse important enough? Are your work relationships important enough to relearn a handful of interpersonal skills?